As a mutual fund investor, it becomes a challenging task to understand the difference between growth option, dividend payout option, and dividend reinvestment option of mutual fund schemes and choosing the best option as per individual requirements. 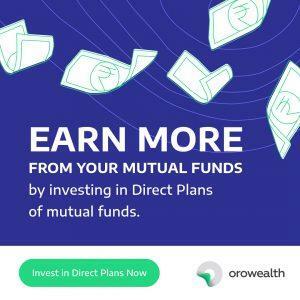 Growth option means that an investor won’t receive any profits in the form dividends that may be paid out by the mutual fund scheme. If any profit is generated by the scheme, this amount gets invested back into the scheme which results in an increase in its NAV. In this plan, units of investors remains the same but the NAV increases as profits keep getting added and compounded over time thus giving higher capital gains at the time of redemption. This option is best suited for investors who don’t need regular income in the form of dividends. Dividend Payout option means that the profit generated by the scheme will be distributed to investors in the form of dividends. Dividend can be paid out on monthly, quarterly, half-yearly or annual basis but there is no guarantee of frequency and amount of dividend. It is solely at the discretion of the fund manager and whether the scheme has any profits to distribute. If the scheme is making a loss, dividend need not be declared. Whenever the dividend gets declared, the amount of dividend gets deducted from the NAV of the scheme thereby bringing the NAV down. The scheme deducts dividend distribution tax (DDT) in debt schemes before paying out the dividend to investors. DDT is only applicable in case of debt funds and is paid by the mutual fund scheme from the distributable income at a rate of 28.33% (including surcharge and cess). The dividend received by the investors is tax free in the hands of the investor in case of both equity and debt schemes. Dividend Reinvestment option means that the profits generated by the scheme is not distributed to the investor in the form of cash dividends but is distributed in the form of additional units in the scheme. The dividend amount is used to purchase more units in the same scheme. This increases the units of the investor in the scheme and profit can be realized in the form of capital gains at the time of redemption. For a Debt MF investor who wants to invest for the short term (holding period of less than 3 years) and who are in the 30% income tax slab, Dividend Options are better than the Growth Option in terms of tax implications. For an Equity MF investor, if the holding period can be greater than 1 year, Growth Option is much better than Dividend Options.